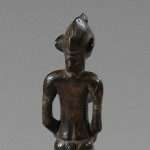 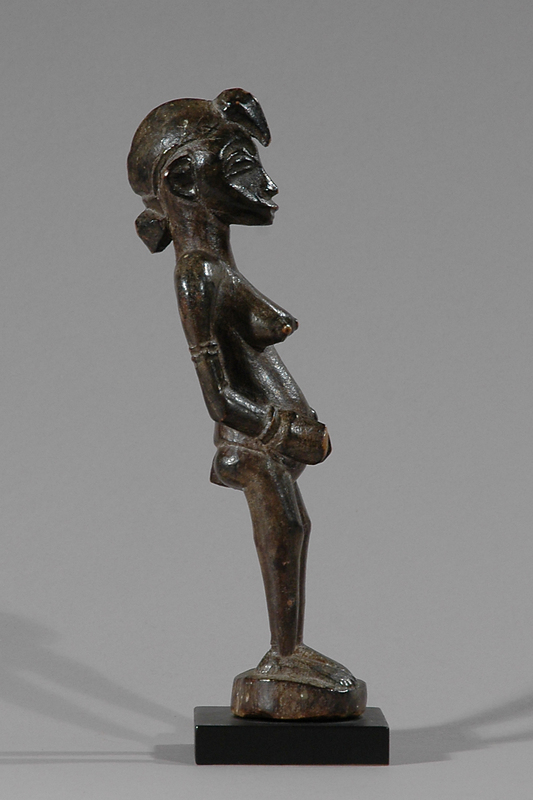 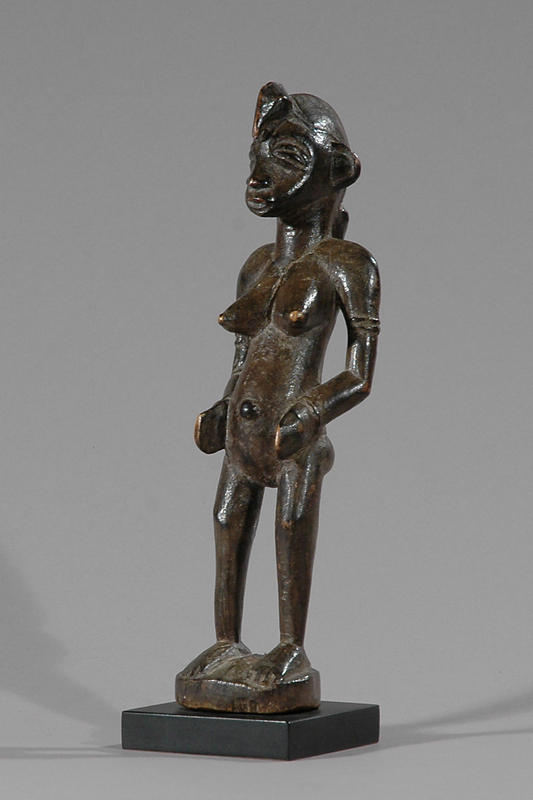 This finely carved figure comes from the Senufo people. 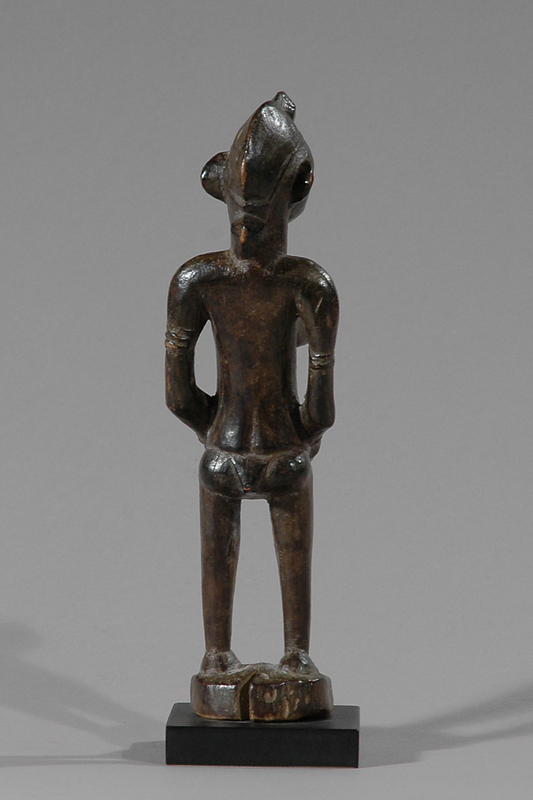 Senufo figures vary a great deal, but nevertheless can be identified by their heart-shaped faces, arrowshaped noses and crescent coiffures. 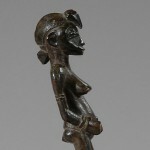 Their height varies from 15 to 120 cm. 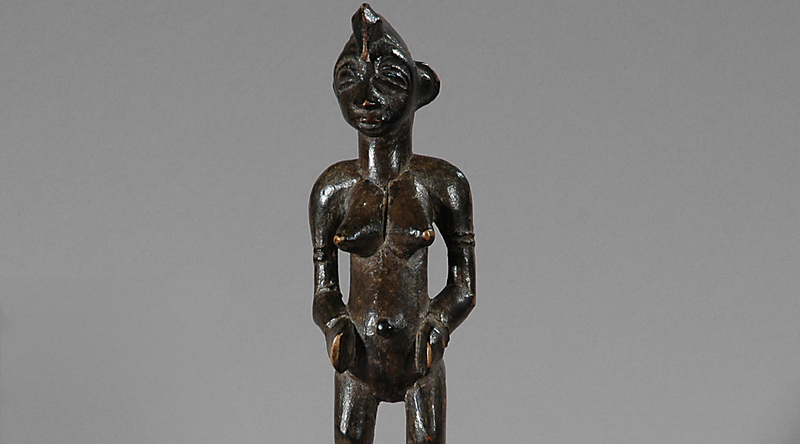 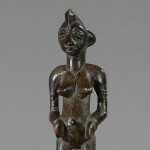 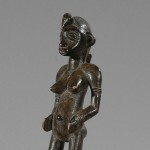 The Senufo produce a rich variety of sculptures, mainly associated with the poro society, to which all adult men belong and which maintains the continuity of historical traditiont. 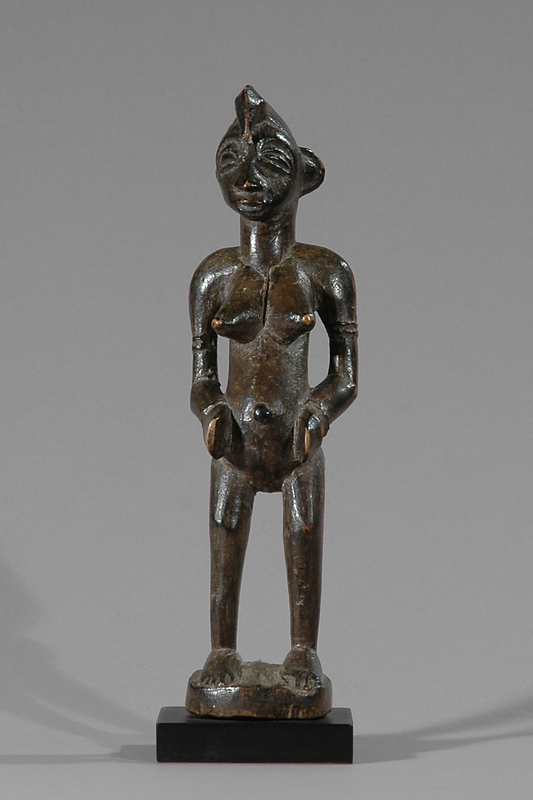 A woman’s association, the sandogo, in charge of divination, is responsible for contact with the bush spirit who might be bothered by the activities of the hunt, farming, or of artisans.